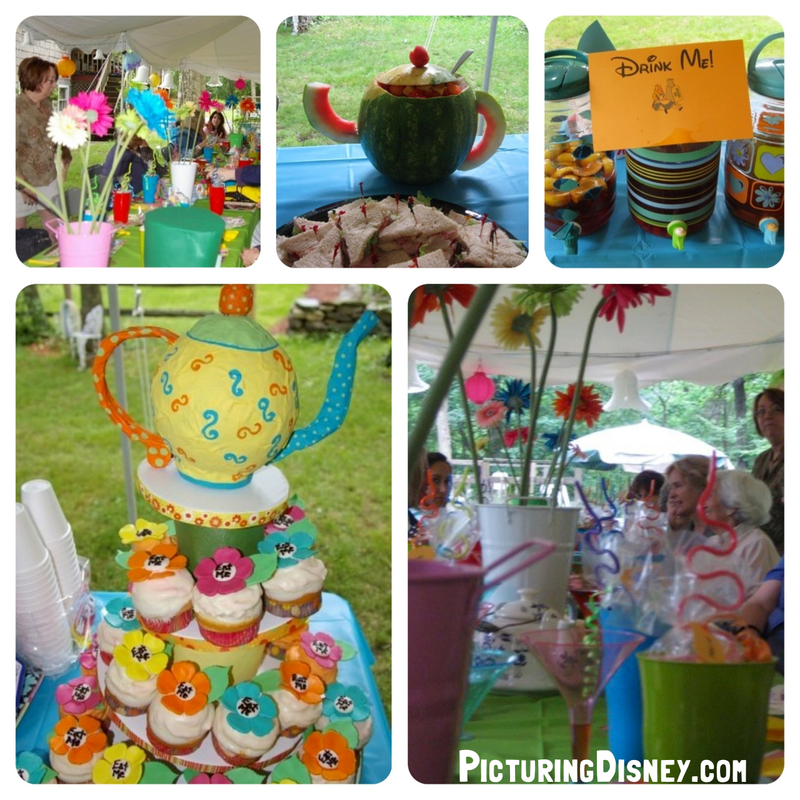 Picturing Disney: Mad Hatter Tea Party Shower! 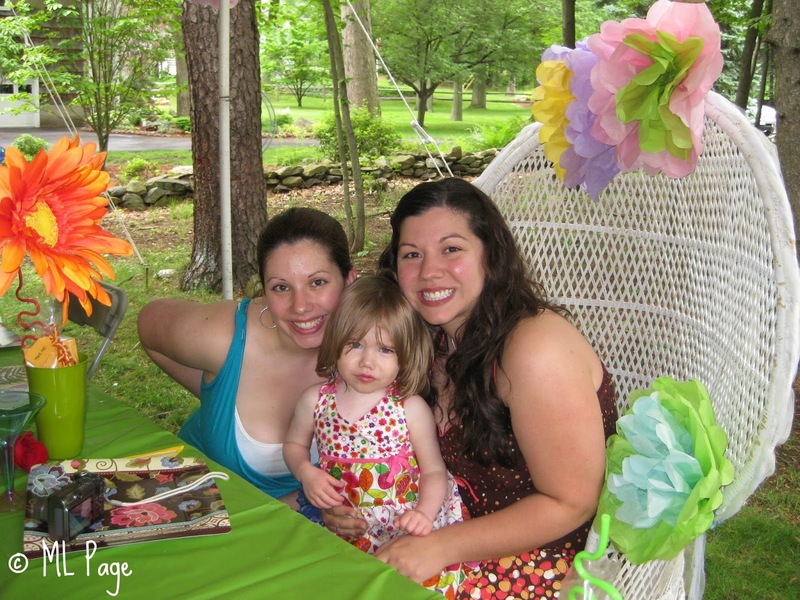 First, the big goofy classic Bridal Party chair was placed at the head of the table for me (here I am with my sister and niece, June 2009). As you can see in the original collage pic, the drinks (iced teas of course) that were served while everyone waited for me with their noshies had "Drink Me" signs on them. And the cupcakes read "Eat Me". My mom created a topsy turvy cupcake stand with paper mache, paint, and her creative magic. She put fondant flowers atop each cupcake as they would around the stand and on the table. Sometimes food really can be a work of art! 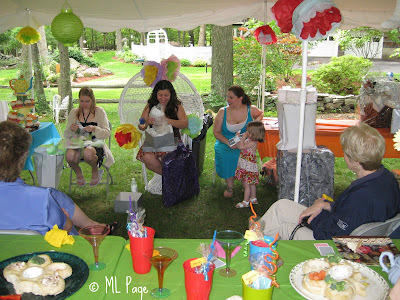 The party was held outside in my grandparents' backyard for a garden party feel. There was a big white tend set up and everything was in bloom thanks to the time of year. Some of the most notable parts of the decorations were the hanging paper lanterns and pop up bells. 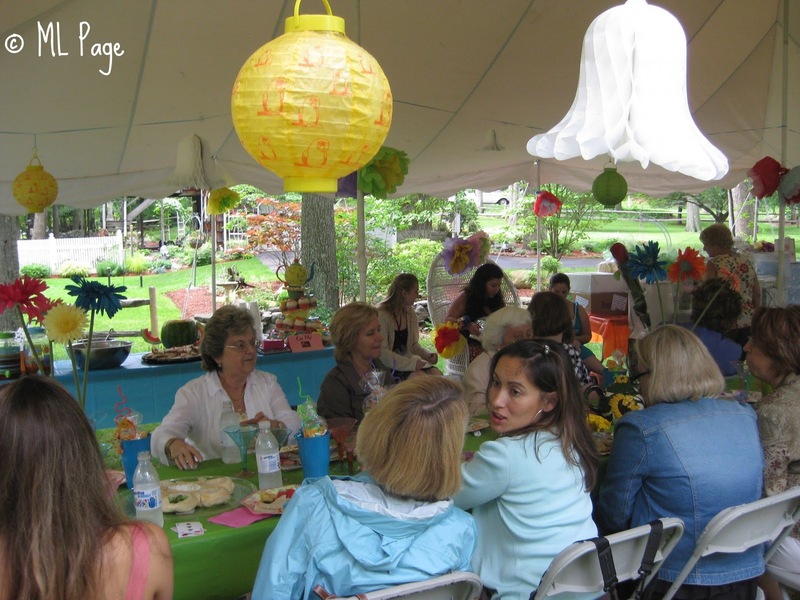 There was also a large Mad Hatter hat (which you can see the top 80% of in the above pic), and lots of colored buckets as vases for bright colored gerber daisies and big handmade paper flowers! 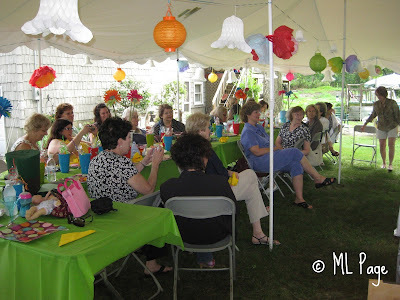 The tables were set up in a small "T" with the guests sitting down the long end and my chair at the head of the top. My bridal party sat with me at the ends. 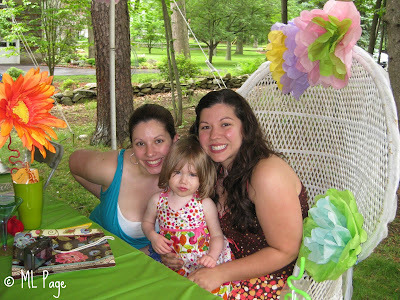 The colors popped so much agains the green grass and table cloths! And the mismatched heights and multi colored decorations added to the whimsy. Besides both hot and cold tea they served cocktails (we're all mad here) all in awesome cups and mugs. And there were teapots spotted around on the table and even the watermelon was cut into one for the fruit salad. 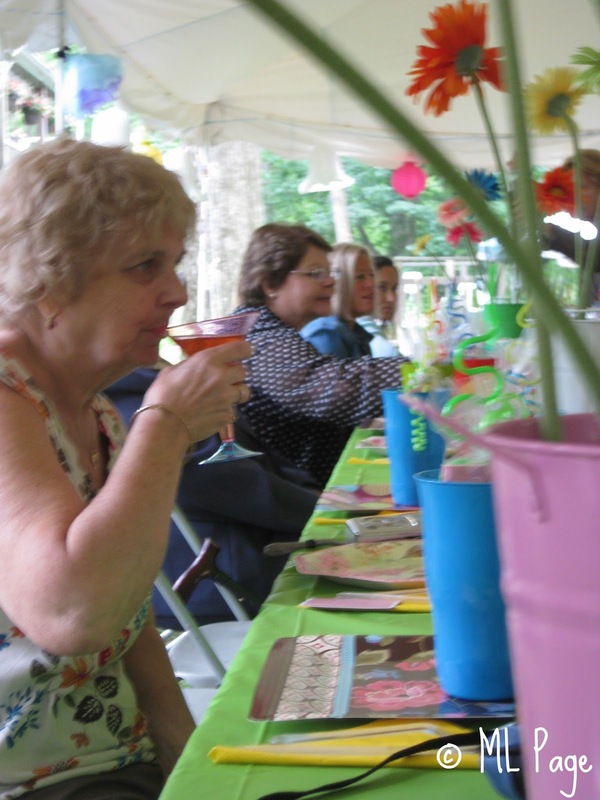 Here (above) is my Grandma taking a sip for no other reason than that I love and miss her. How do you celebrate your unbirthday with a Disney twist? Don't forget about the unbirthday contest running through September 15, 2013.